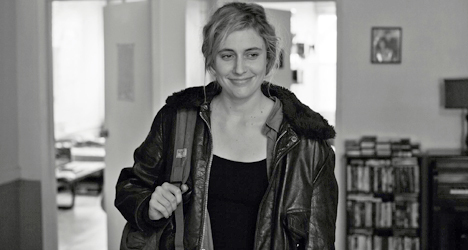 Greta Gerwig stars as the title character in director Noah Baumbach's new film "Frances Ha." Actress/screenwriter Greta Gerwig is ready to grow up. Not that she hasn’t had the time of her life playing Generation Y-inspired roles like the discontent title character in 2007’s mumblecore film “Hannah Takes the Stairs” or afflicted college clique leader Violet Wister in 2011’s “Damsels in Distress.” The reason is fairly simple: Unlike actor Michael Cera, she can’t stay 20-something forever. “That would be my nightmare,” Gerwig, 29, told me during a phone interview last week when we mentioned the baby-faced Cera and his predilection for playing young characters. 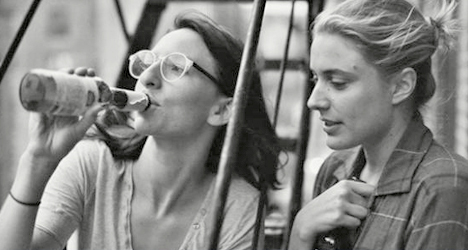 In her new independent film “Frances Ha,” her second project with director Noah Baumbach (“Greenberg”), Gerwig stars as Frances, a 27-year-old New York City dance apprentice whose life starts getting more complicated when her best friend moves out of their apartment and her career hits the wall. With “Frances Ha” being the second film you’ve done with Noah, can we now consider you his source for artistic inspiration? Are you OK with the term muse? Well, I’m OK with the term muse as long as you acknowledge the muse wrote the script, too. (Laughs) I’m totally fine with the term, but I also feel like I’m very much a co-creator. I feel like I’m the loudest muse that the world has ever seen. How did the creative process work on this film for you and Noah? Did it start with shaping who Frances was first and go from there? We’re really similar as writers. We really find characters through writing scenes. I had all these ideas for moments and I thought some of them would work in a movie. We just started writing scenes and figured out who Frances was by what the scenes were telling us. Luckily, she was this great character. I almost feel like I can’t take credit for her because you don’t even know where the inspiration comes from when you are writing it. It’s almost like you’re just taking dictation. It took about a year to write the script. It was a long time. We spent a long time trying to make it as word-perfect as we could. It was definitely not improvised or by the seat of our pants. Talk about writing Frances as a dancer. Had you studied dance prior to this? 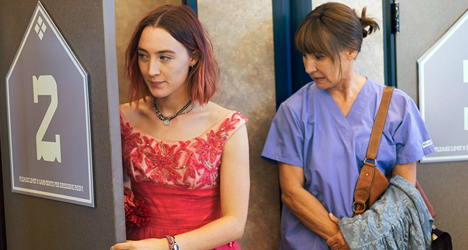 Do you think the film and TV industry understands the challenges of your generation more with some of the work you are doing and the breakout of other projects like HBO’s “Girls” over the last few years? I think we’re very lucky right now to have lots of examples of amazing women who are writing their own material. For me it’s incredibly inspirational and also makes me feel I have a community of people that push me. I love their work and I’m competitive. Do you think you have to write your own material because that material for strong female characters just isn’t being created by anyone outside of the community you mentioned? I don’t write so I can act. I write because I like to write. It’s only about providing myself with material. But I think we’re at a moment where women don’t have a lot of great parts, particularly in films. I think there’s a lot more interesting work for women on television right now between things like “Homeland” and “Nurse Jackie” and stuff like that. Women are really front and center and have complicated characters and aren’t just one note. But in film – I just read a study that came out last year – speaking parts for women are at an all-time low in the history of cinema. That’s incredibly depressing if you’re a female actress who wants to work in film, which I am. I love television and I watch it and I think it’s great, but, for me, my biggest love is movies and cinema. I feel women are terribly underrepresented in this media. It’s really a call to arms and not a sign I should give up. Do you think acting has an expiration date like dance? Well, there is an expiration date in acting to play the hot young girl, but there isn’t if you’re interested in exploring lots of different characters for your whole life. But the material isn’t always there. That’s what I want to do. I would like to write and create projects not just for myself, but for other women at other points in their life. I want to tell different kinds of stories. I don’t only want to see movies about people in their 20s. Speaking of which, you’re going to be turning 30 this coming August. Since age has been an important part of some of your characters in your career, are you ready to embrace 30 or would you rather be a 20-something forever? I would hate to be 20-something forever. I think for me what’s really nice about growing up is I don’t have to play those parts anymore. I loved playing them and it was so much fun and I’ve had a great run of it, but I’m really excited about doing things that aren’t strictly involved with being young. I think you and Brit Marling (“Another Earth”) are doing some of the best work out there in the independent scene and we need you all to keep creating these stories no one else is. On that note, I have to ask: Are we ever going to lose you to the big Hollywood machine? I mean you’ve dabbled in it before with “Arthur” and “No Strings Attached,” but you’ve always come back. No, I’ll never get lost there. I mean, I might do it occasionally. I think my home is in more of a collaborative atmosphere. But who knows. I would love to be able to make a huge movie that I work on as a writer and actor. It’s about balancing what comes my way. I try to judge every film on its merits and not on its budget size. Rather than ask you how you and Frances are similar, I’m just going to rattle off a few things about Frances and you tell me if they pertain to your real life in any way. Frances is allergic to cats. (Laughs) Uh, no I don’t. I mean, yeah. I like animals that can talk. Sure. (Laughs) I love Chessmen cookies. Frances is sort of worried about getting fat. It takes Frances forever to leave places. Uh, that was true of me about five years ago; less now. Frances likes things that look like mistakes. No, I don’t! (Laughs) I have a totally normal walk! That’s good. Still, you don’t strike me as the girly-girl type overall. What would you say is the most girly thing about you? I love make up. I don’t wear it, but I buy it. Well, I try wearing it, but I’m not good at putting it on. I buy it and I play with it. I probably spend more money at Sephora than I should, but I just love products. I love the way they’re packaged. I wish I could really rock lipstick and crazy eyeliner every day. I buy it all the time, but I don’t do it.